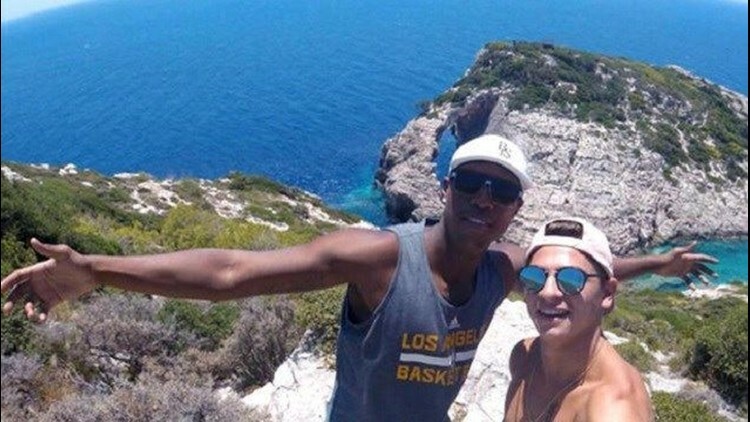 Greek police say a 22-year-old American tourist has been fatally injured in a fight at a bar on the island of Zakinthos. ATHENS, Greece (AP) — Greek police say a 22-year-old American tourist has been fatally injured in a fight at a bar on the island of Zakinthos. Police said in a statement Friday that the man, whose identity was not publicly announced, was beaten to death by a group of people at the bar early Friday in Lagana, an area of the island known for frequently rowdy behavior by young foreign tourists. Police say a 34-year-old Greek and a 32-year-old British man of Serbian origin have been arrested and were to appear before a prosecutor on murder charges. They say an investigation to identify the rest of the people involved is ongoing. It was not immediately clear why the fight broke out.